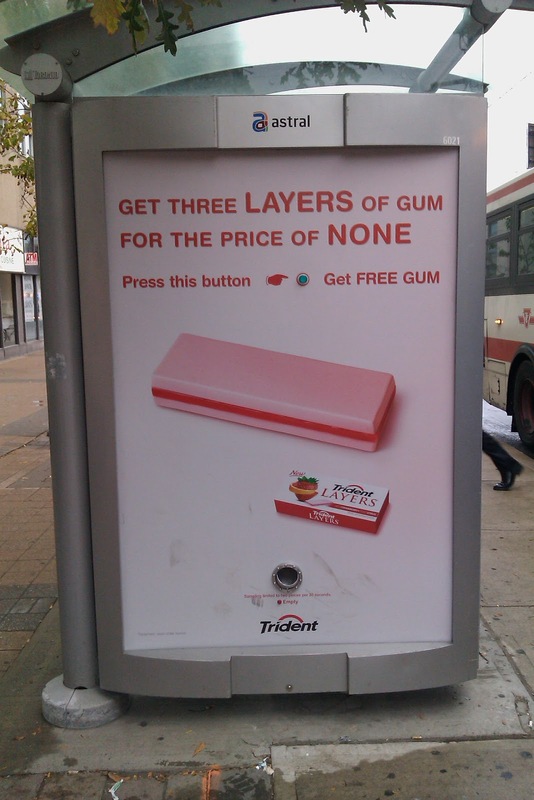 The Planning Notepad by John Krissilas: Cool Out-of-Home Series #3: Free Gum for All!! 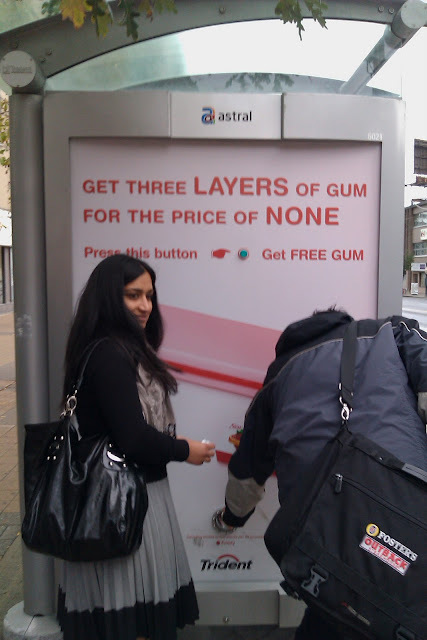 Cool Out-of-Home Series #3: Free Gum for All!! Since when did waiting for the bus become so much fun? 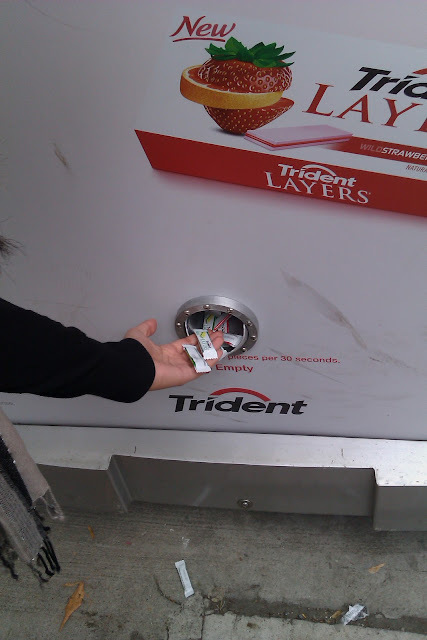 As part of the launch of its new Trident Layers gum, Trident made an interesting use of transit shelter advertising by turning it into a channel through which they could actually sample the gum. Novelty plays a huge role in the "coolness" of this execution - rarely are people able to interact with a transit shelter ad, let alone receive a free sample from one! This novelty makes the ad a bit intriguing - will you really get a free piece of gum, or is this a joke? 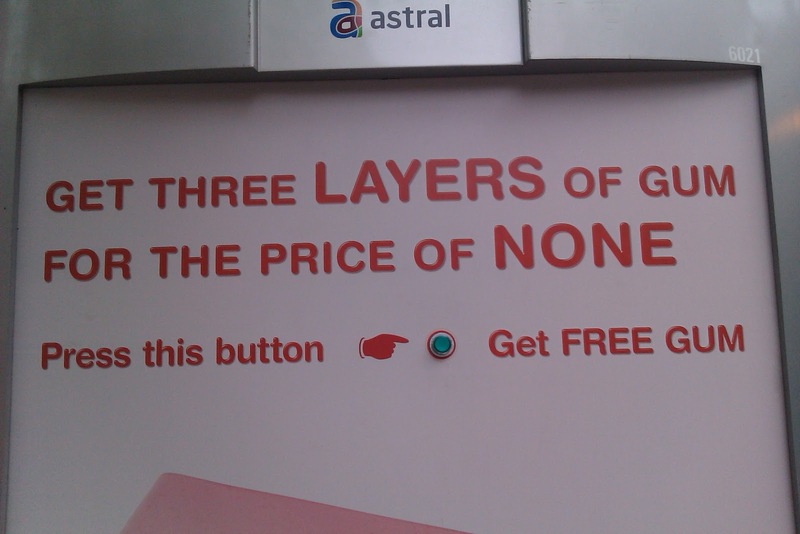 What will happen when I push this button? 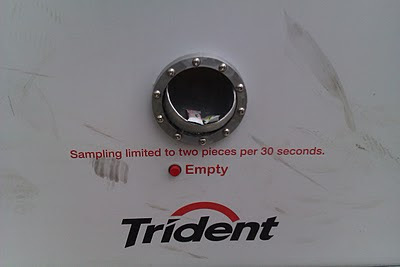 Ultimately, any apprehension is misplaced. 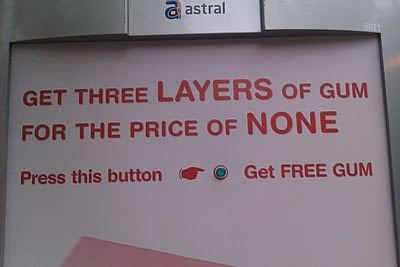 The ad does indeed give away free pieces of gum, and the moment you see the first pack shoot out into your hand is definitely special. Needless to say, the whole group of people waiting for the bus got a lot of laughs and had a lot of fun grabbing the samples.